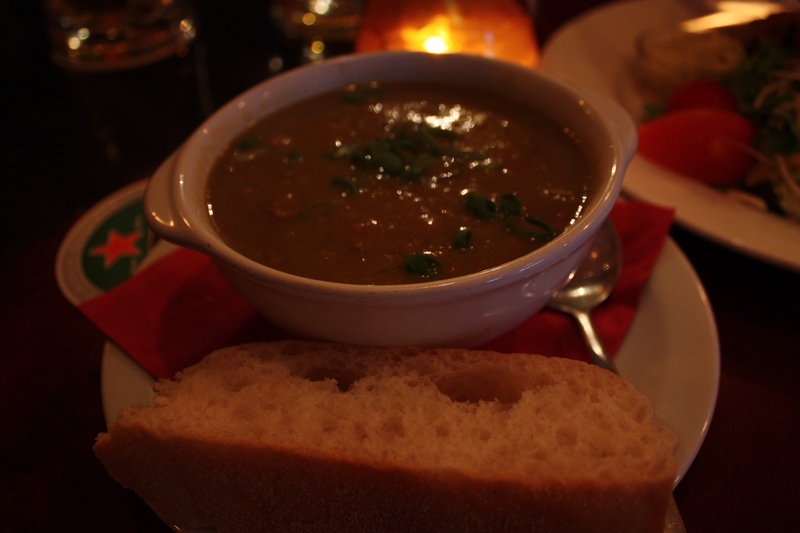 Europe – Netherlands | faim? oui oui!!!!!! 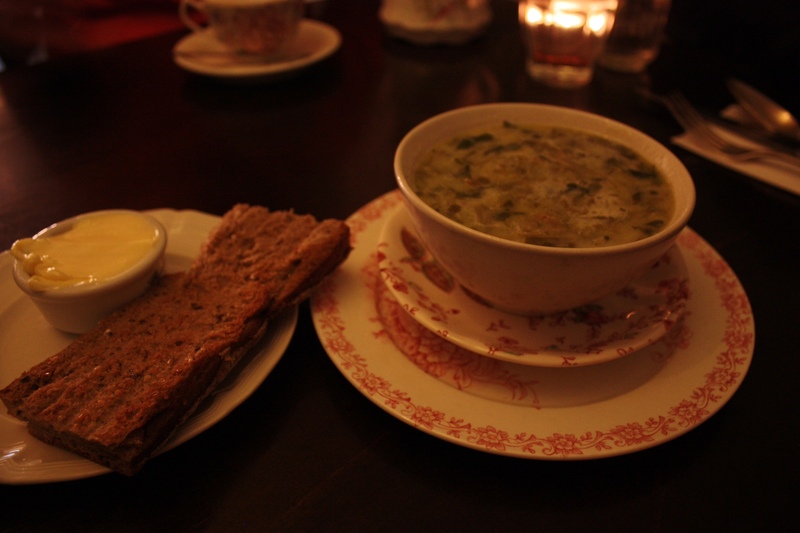 We had the best meal in Amsterdam at Van Kerkwijk. 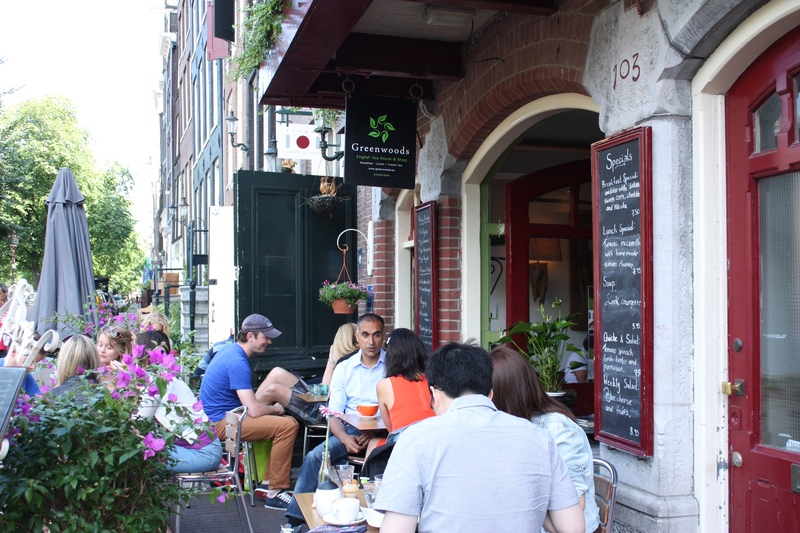 It’s located on a semi-sketchy side street/alley near the Dam Square but it’s highly recommended by netizens and guidebooks…. What’s unique about this restaurant is that there’s no menu and no prices listed! The waitress came over to tell us what’s on the menu and described each item in extreme detail. We had to ask her to repeat the entire menu twice cause we couldn’t remember the choices but she was so patient! 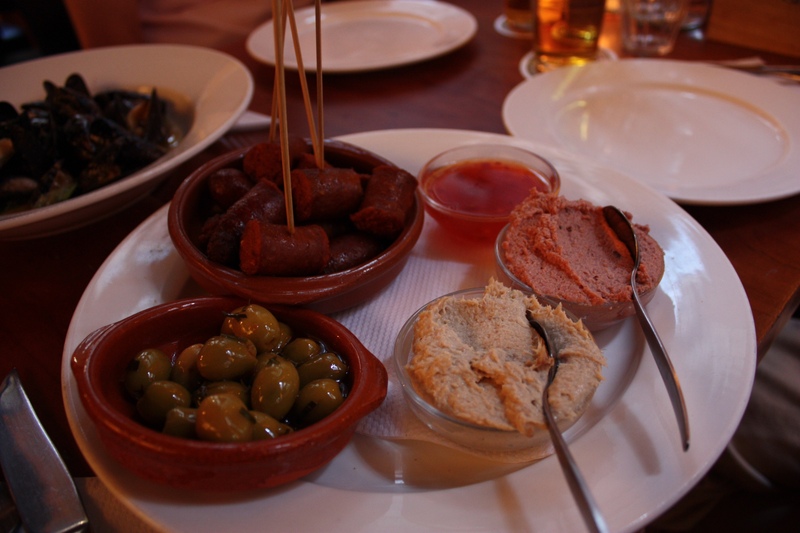 For appetizers, we chose the sampler (chorizo, olives, fish pâté, meat pâté, blue & goat cheese). Because we mentioned that we don’t eat cheese, she substituted it with mussels instead. So nice! mussels with green onions… this was sooooo delicious! 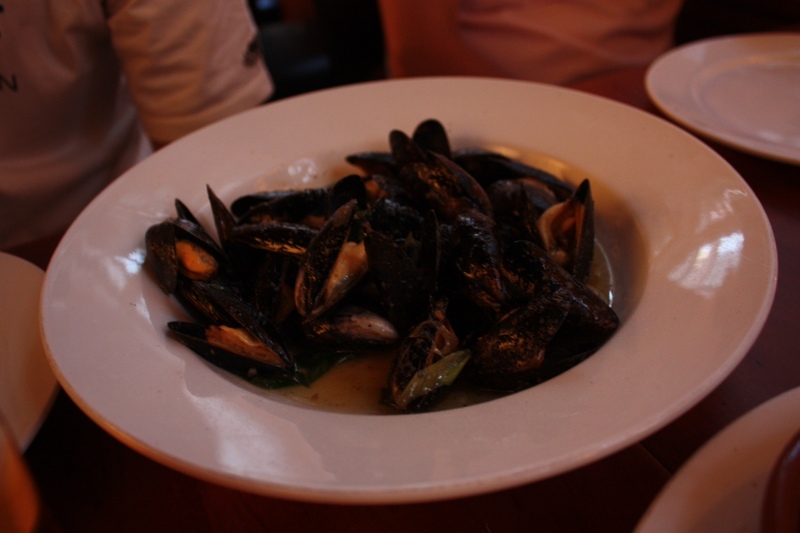 The mussels were fresh and the green onions heightened the fresh taste. 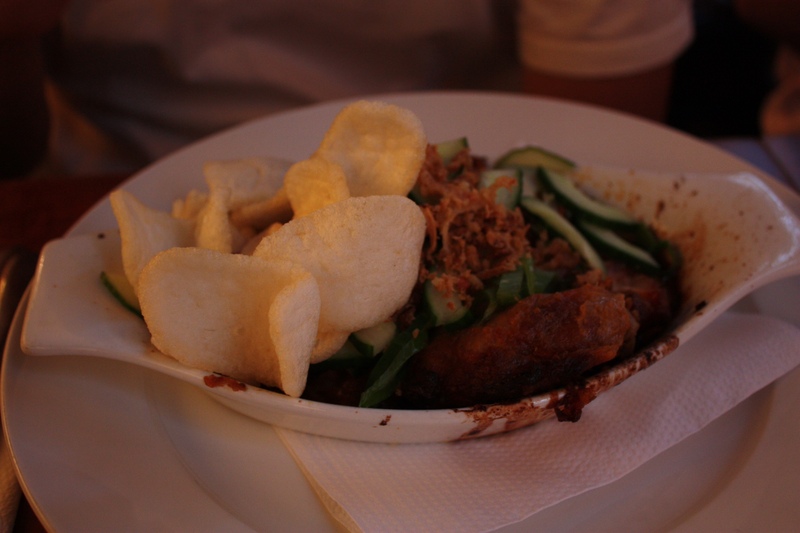 Indonesian chicken in coconut sauce..
We guessed this meal to be around 100 Euros since everything was so delicious and we ordered steak and seafood….but it turned out to be around 80 Euros! 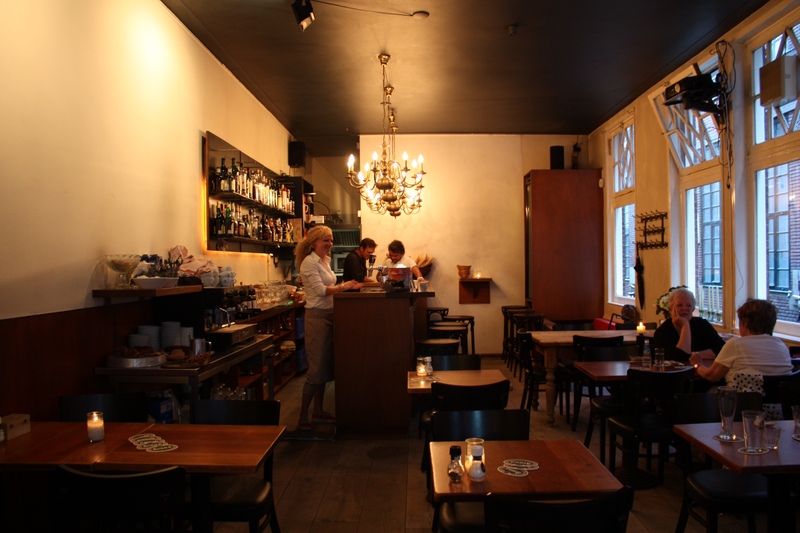 Van Kerkwijk is truly a great find… good food and great personal service! 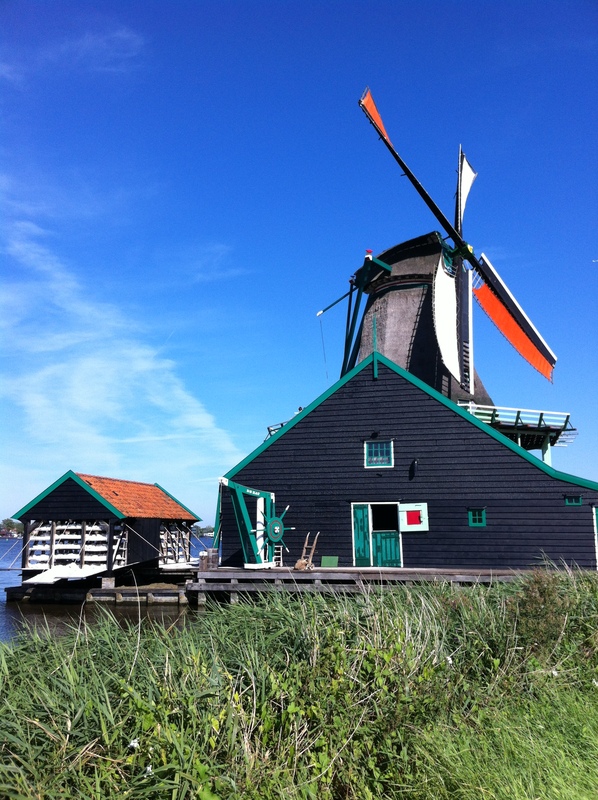 We took the train out to Zaanse Schans to see the symbol of Holland…. WINDMILLS! 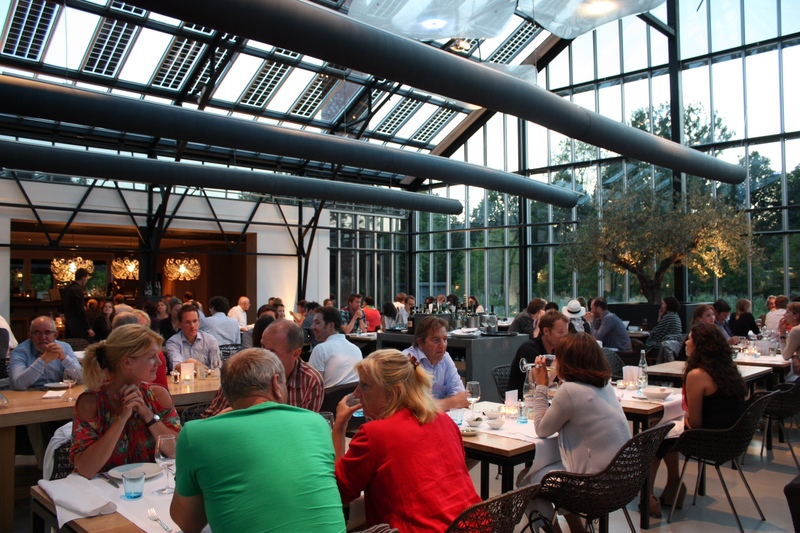 We took pictures, checked windmills off our to-see-bucket list and returned to Amsterdam for lunch at Greenwoods! 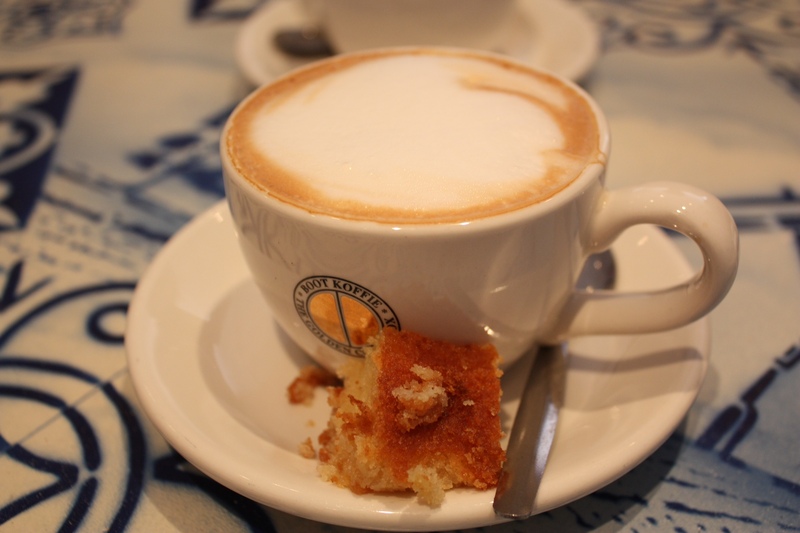 Greenwoods has a English-cottage-like feel to it and is famous for its delicious English-style meals, fresh baked goods and afternoon tea. 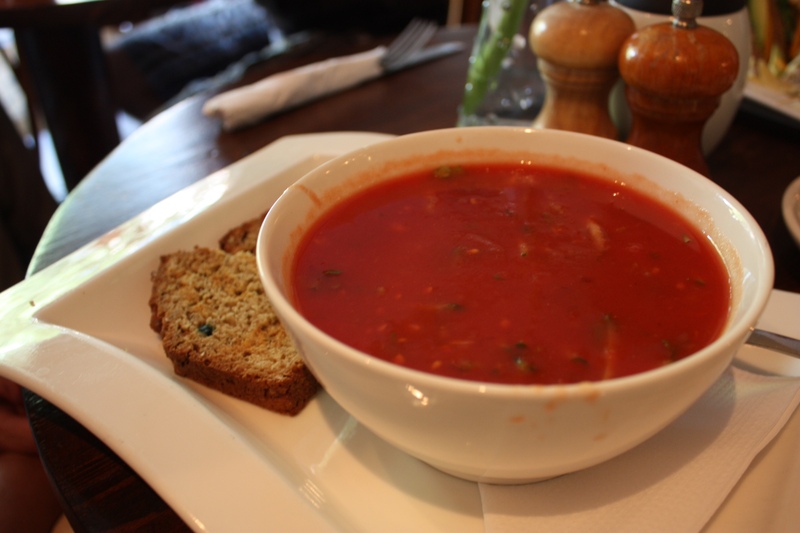 It’s a great place to relax and have a bite… it has a great view of the canal! 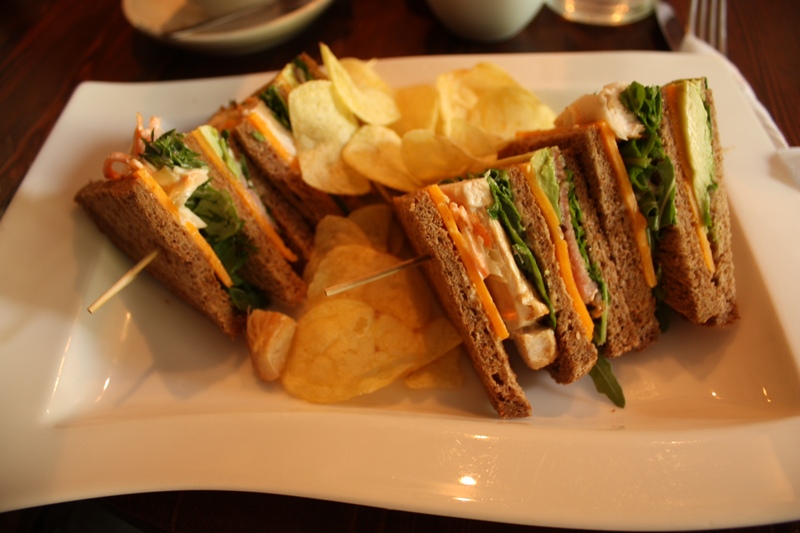 Club Special (roasted organic chicken breast, bacon, cheddar cheese, avocado, home-made coleslaw, rucole and lemon mayonnaise layered on toasted whole grain bread)…. 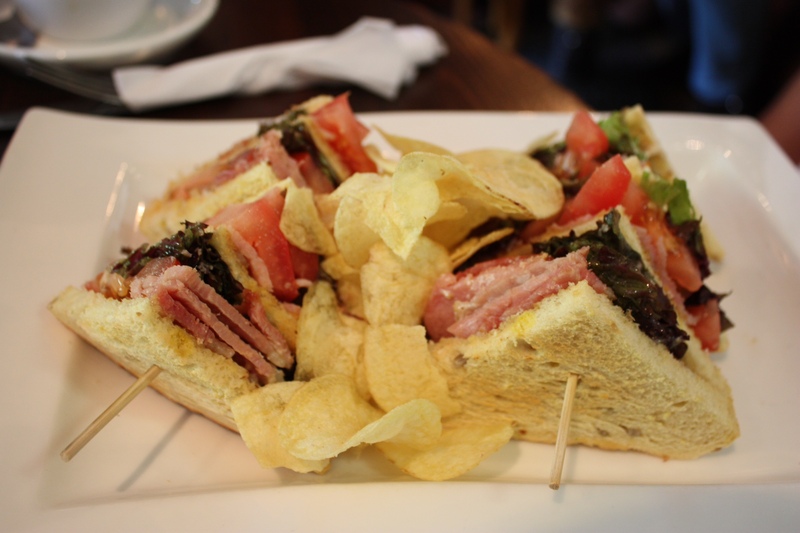 BLT (bacon, lettuce, tomato and mayonnaise layered on toasted whole grain bread)…. 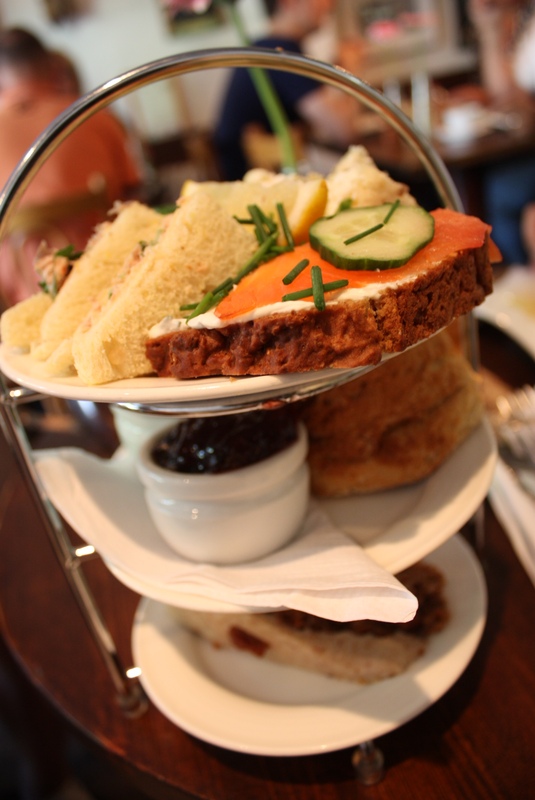 deluxe high tea (home-made soda bread with smoked salmon and cream cheese, 4 petit sandwhiches, organic scone with Devonshire clotted cream/strawberry jam and carrot cake)…. 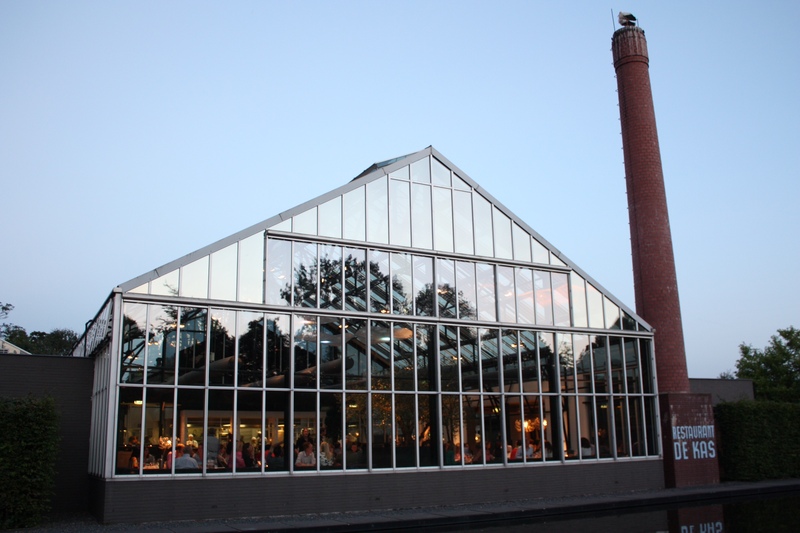 One of the foodie highlights of this trip was dinner at De Kas. 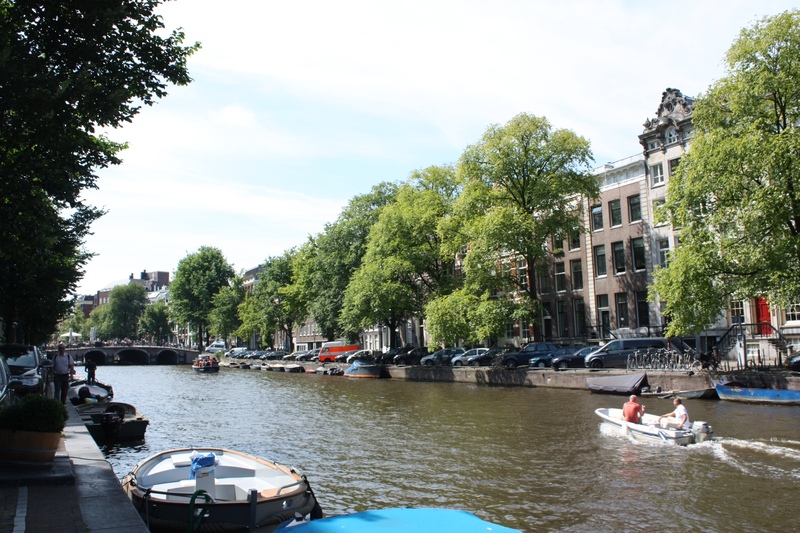 It’s located outside of Amsterdam’s city centre so it’s like a little side trip itself! 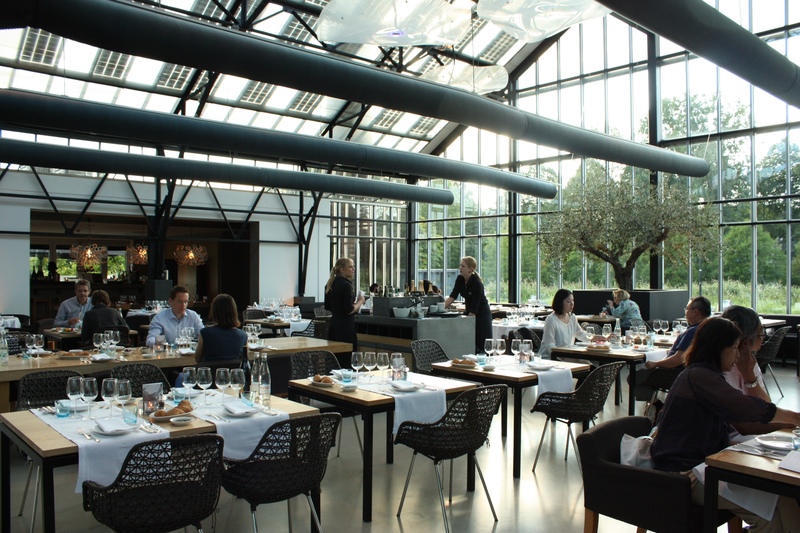 Situated in a former Amsterdam City Nursery, De Kas is famous for its simplistic yet haute cuisine, using locally grown vegetables, herbs and edible flowers and locally sourced meat and seafood…. 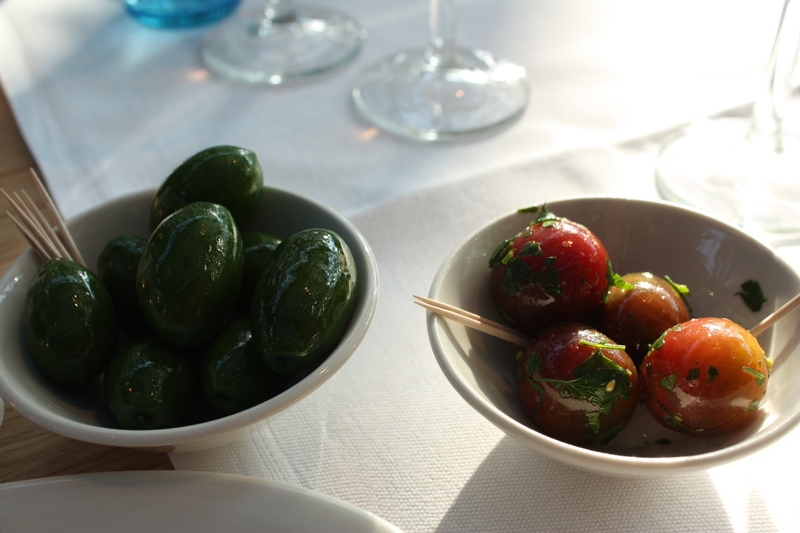 olives and caramelized cherry tomato….. the largest olive I’ve ever eaten! Usually I don’t like the bitter taste of olives, but this olive was sweet! 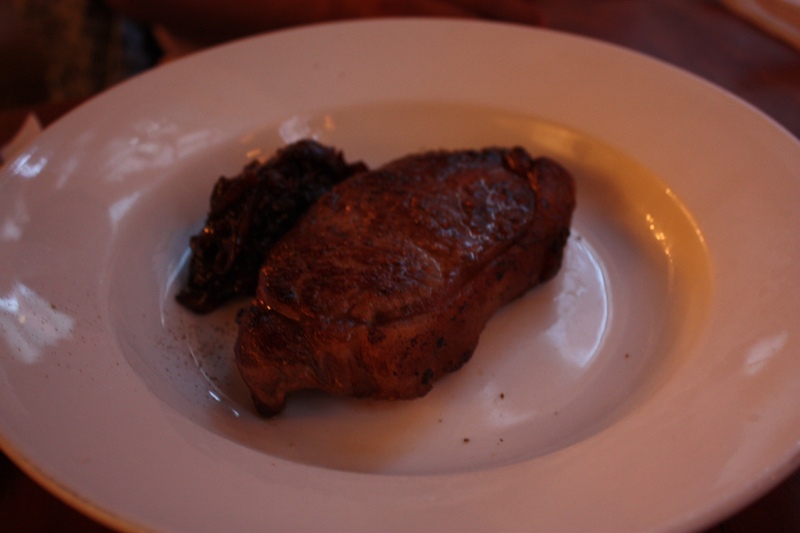 The tomato was so plump and juicy.. and because it’s caramelized, it’s even sweeter! 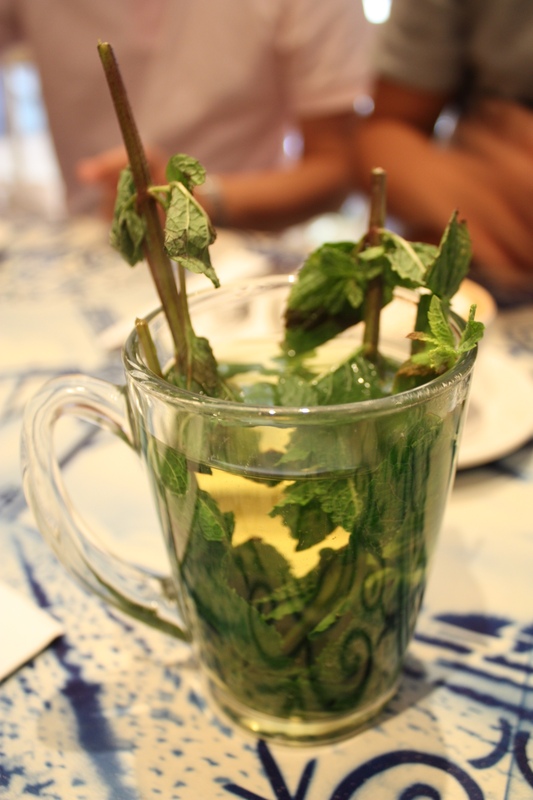 cold watermelon soup with grilled langoustine, red chard, salter oogmeloen (cress salad)… Interesting combination!!!! 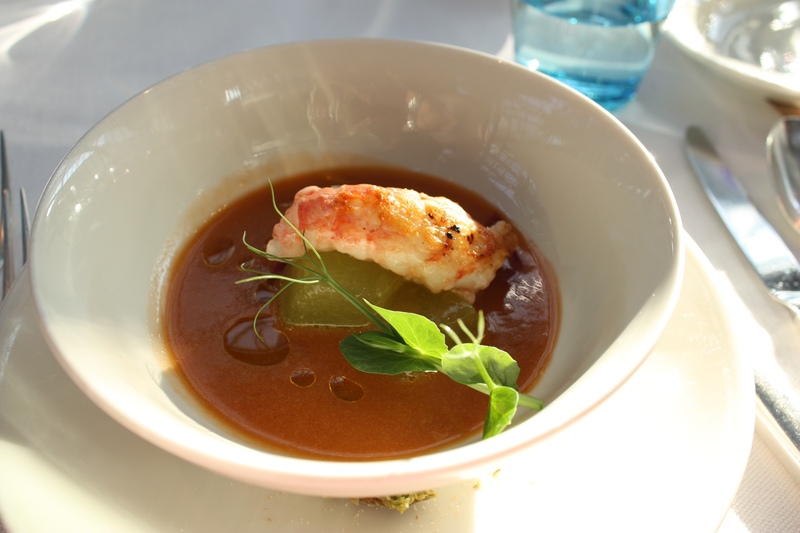 cool and refreshing soup paired the super intense flavour of the langoustine (aka. 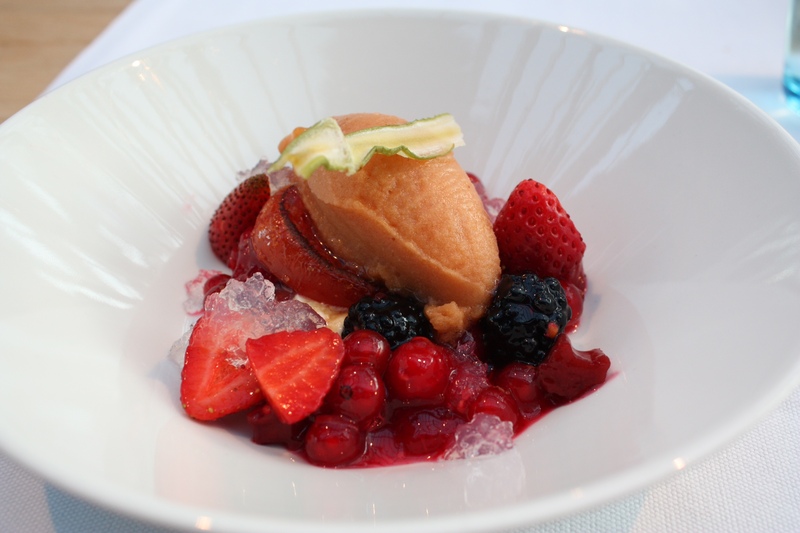 Norway lobster)…. 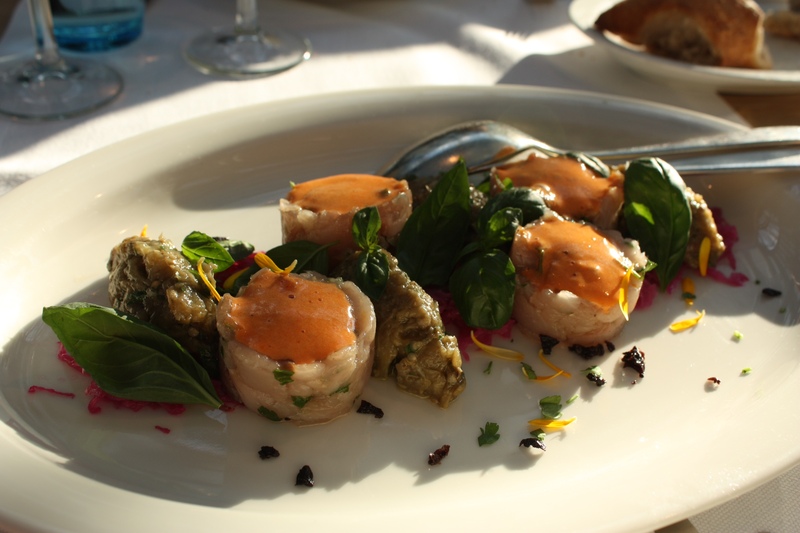 tatare of mackerel with aubergine caviar (anchovies), cabbage, dried olives and red pointed pepper sabayon….tasted very fresh! 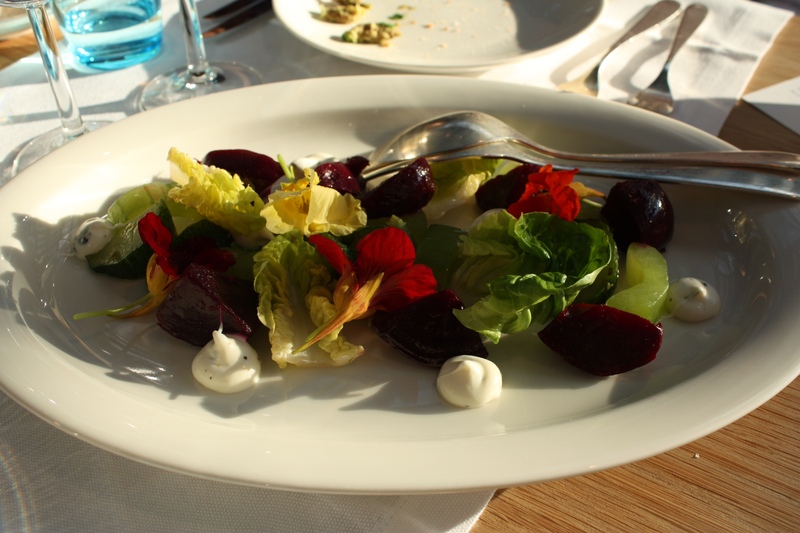 salad of cucumber, raw cucumber, beans, beet root, mint with yogurt…. 1st.. this salad is the prettiest salad ever! It has edible flowers!!! and 2nd.. all the vegetables tasted so fresh and sweet! 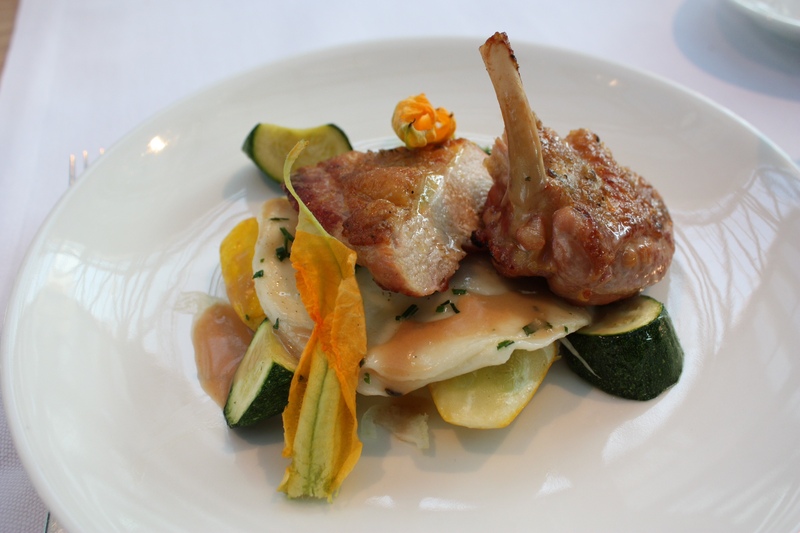 charcoal roasted guinea fowl, ravioli with guinea fowl, pistachio and iberico ham…. 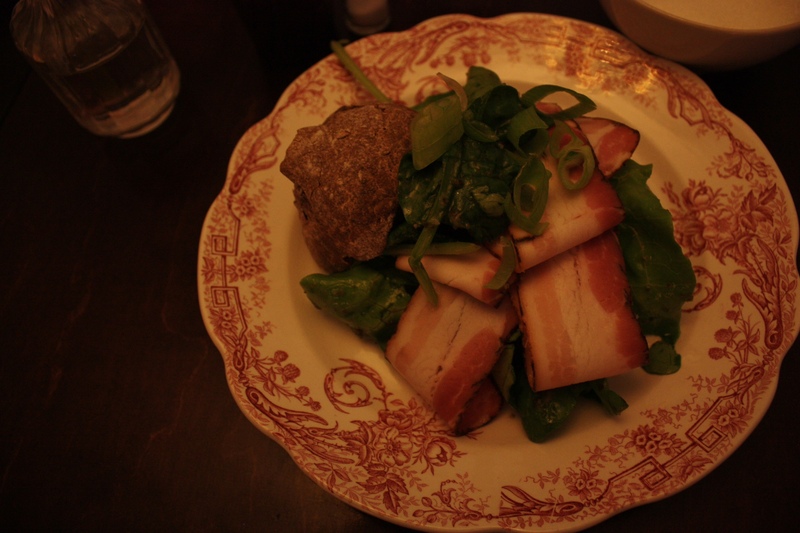 my brother freaked out when I told him this was guinea fowl…. but it didn’t taste gamey.. it tasted a lot like chicken. 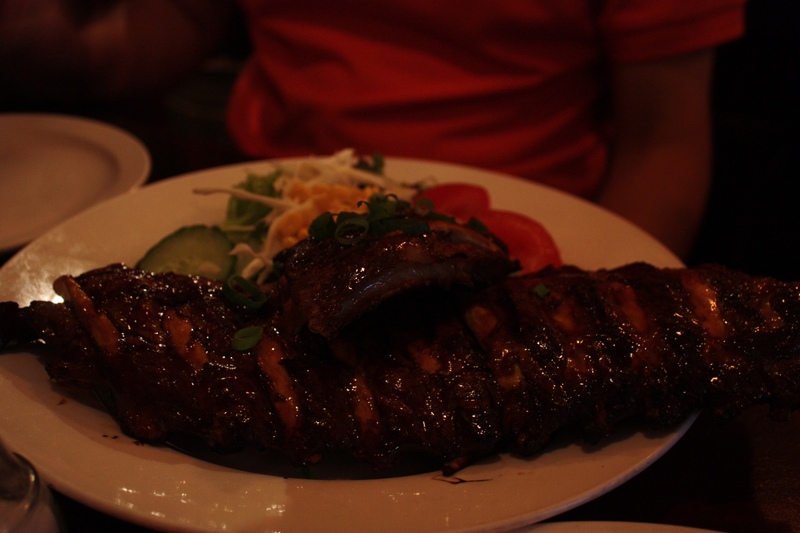 It was perfectly grilled and not too tough. I didn’t like the ravioli because the pasta skin was too thick. 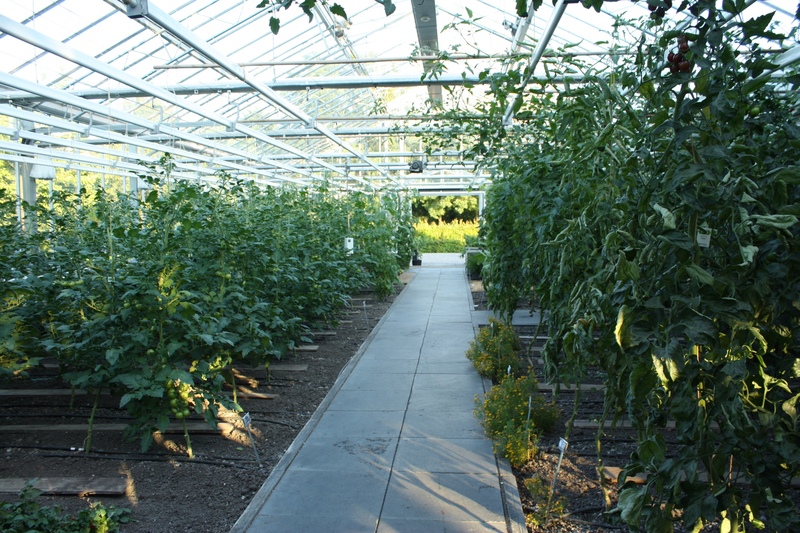 All and all… I loved this concept of organic + locally sourced food and the food all tasted very fresh. 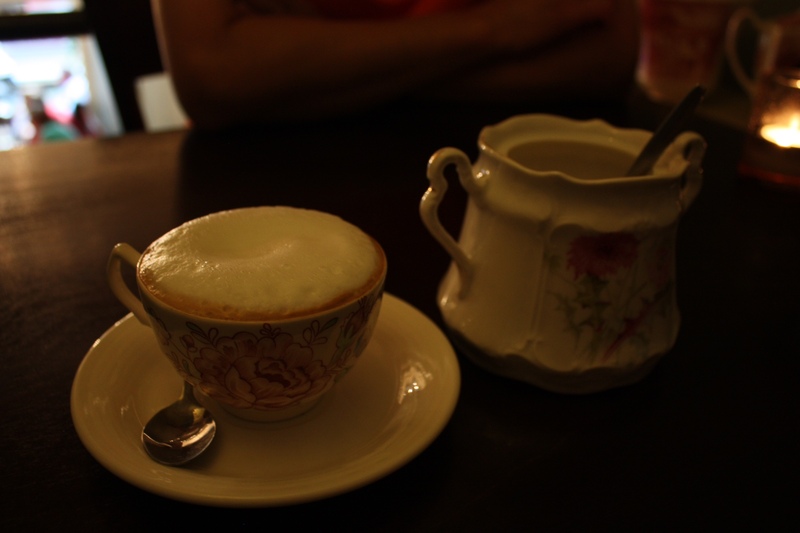 I also loved the dining environment and atmosphere. 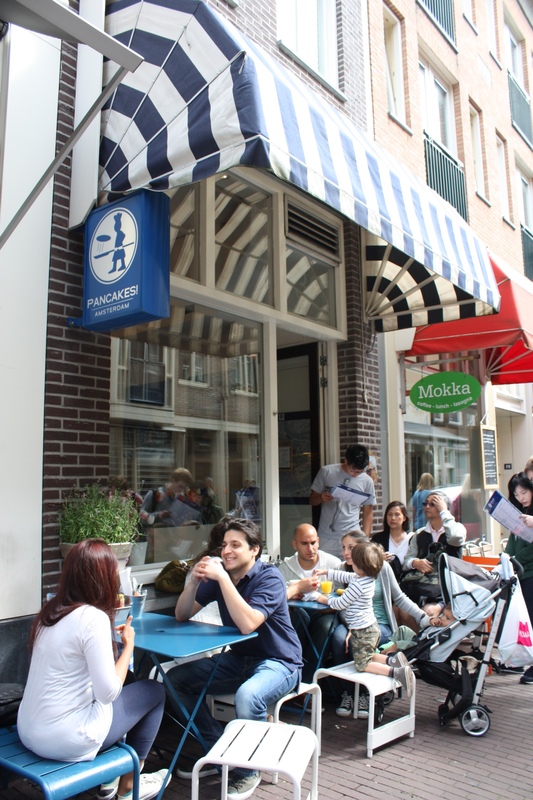 But with the 50 Euro price tag… the menu (and especially the main course) could be a bit more spectacular…..
After visiting Anne Frank’s House in the morning, we decided to have brunch at Pancakes! , which was just a few blocks away. I haven’t tried De Dutch Pancake House in North America so this will be my first Dutch pancake experience. Pancakes! 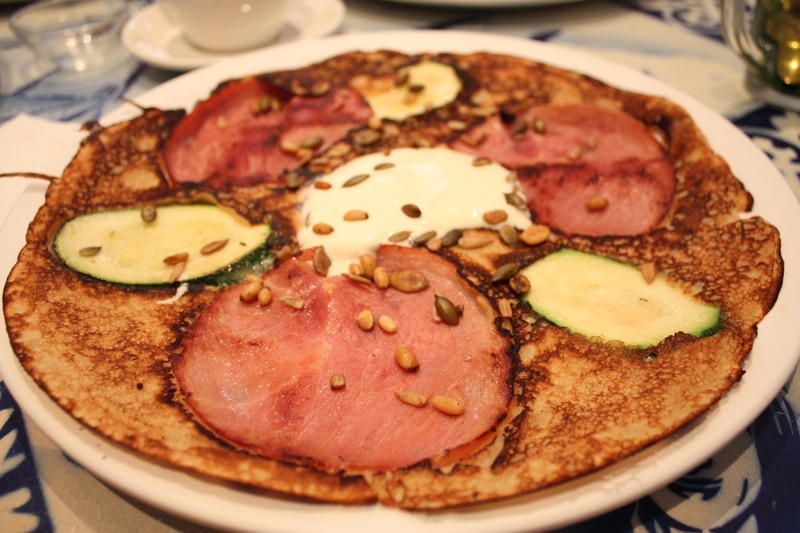 is considered by many foodies as THE place for authentic Dutch pancakes in Amsterdam…. 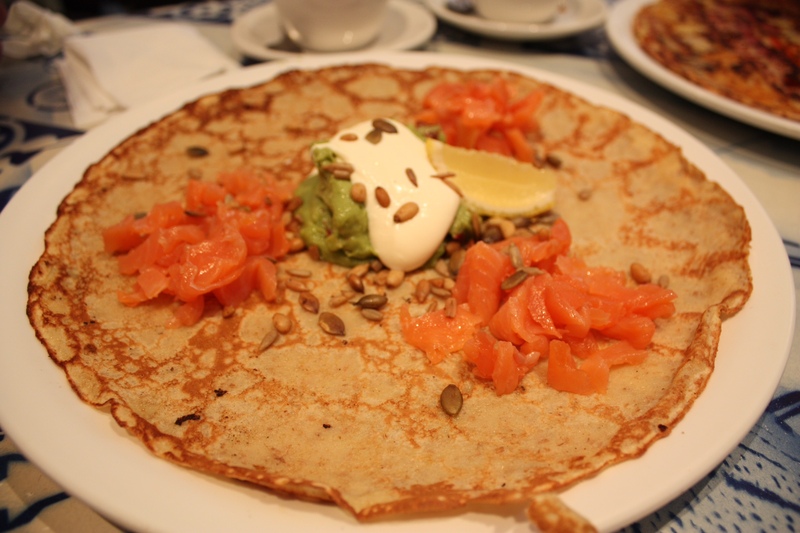 hence the extremely long line-up…..
smoked salmon, creme fraiche, guacamole, pine nuts…..
day special: zucchini, ham, creme fraiche and pine nuts….. 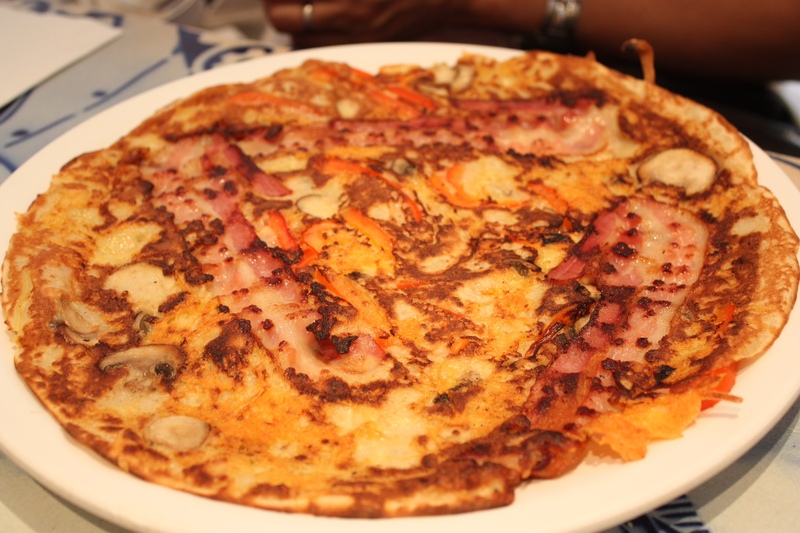 Compared to the buttermilk pancakes, the Dutch pancakes are a lot thinner.. kind of like crepes and the savory pancakes reminded me of the Chinese pancakes. 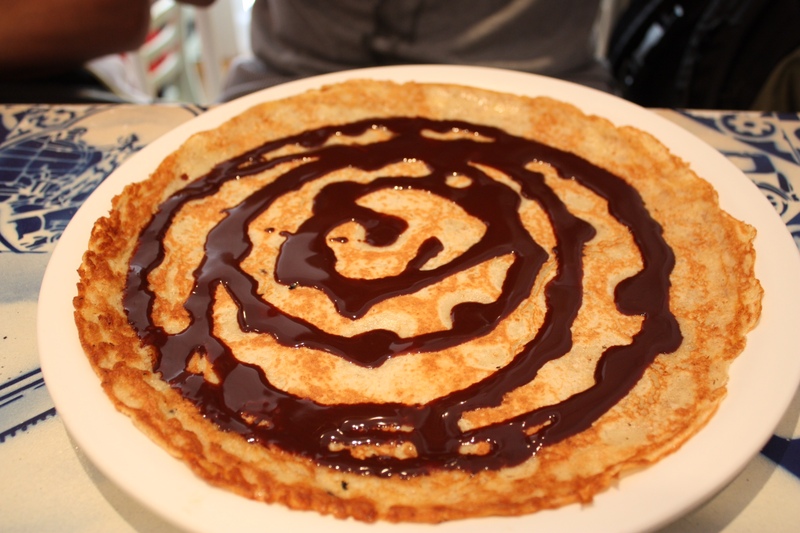 The pancakes were pretty delicious but nothing spectacular…..
O! There’s a free mini Dutch clog key chain that comes along with the bill! After lunch at Gartine, we walked to Museum Quarter to visit the Van Gogh Museum. We were getting pretty tired and hungry, so I consulted my trusty guidebook for a good dinner recommendation nearby. 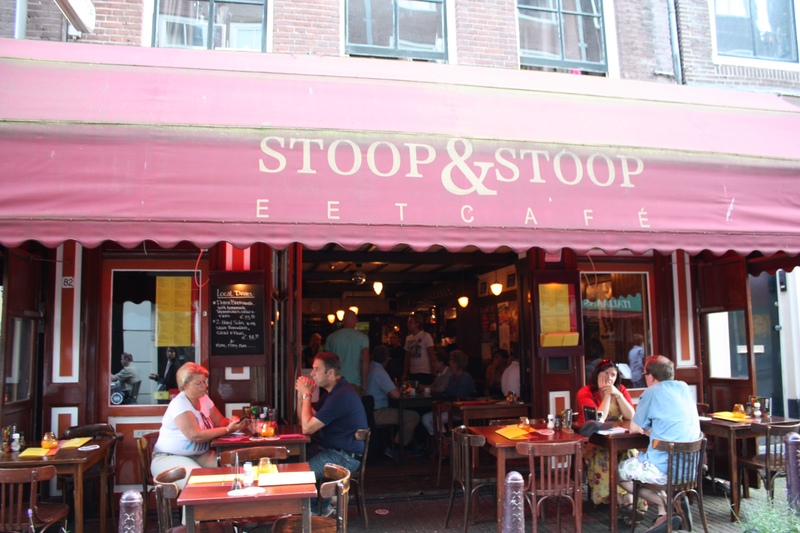 I chose Stoop & Stoop, famous for its hearty comfort food. 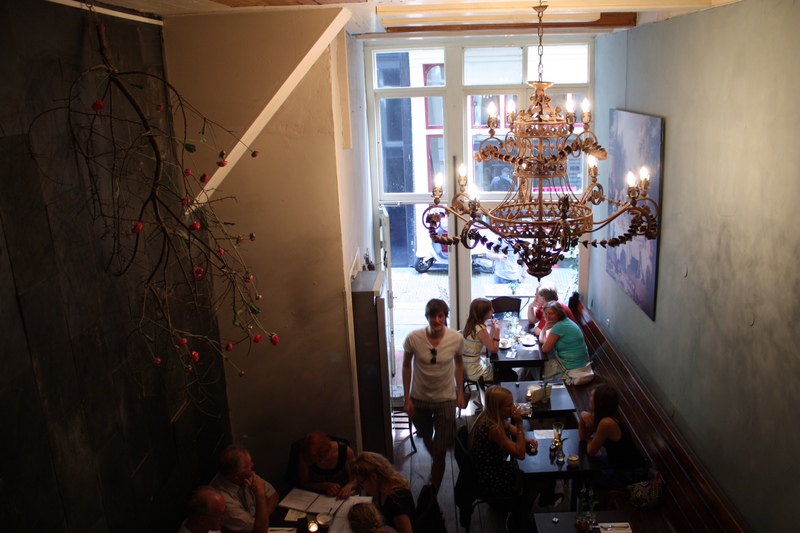 An Eetcafe is Amsterdam’s version of a Parisian bistro. 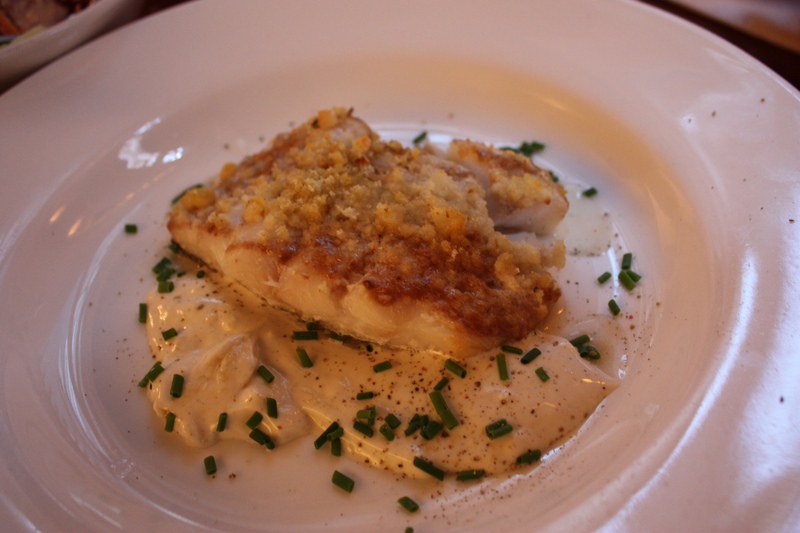 2 Fried soles with sauce remoulade…. 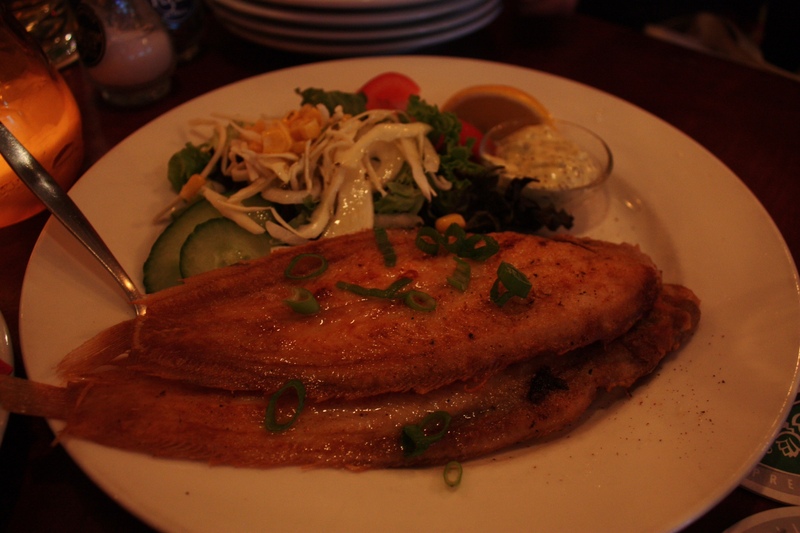 This is a traditional Dutch dish but it tasted like the pan-fried fish my mom makes! 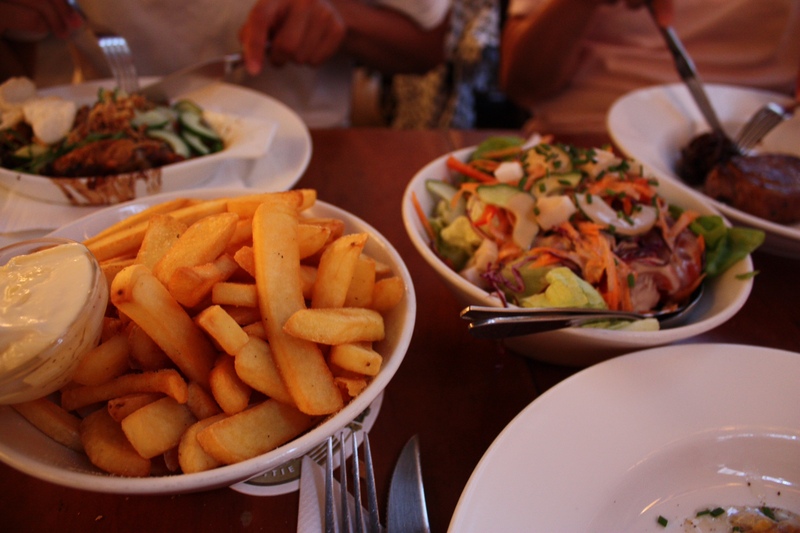 We ordered 3 mains for the 4 of us but the portions were so huge that we didn’t even finish the fries. 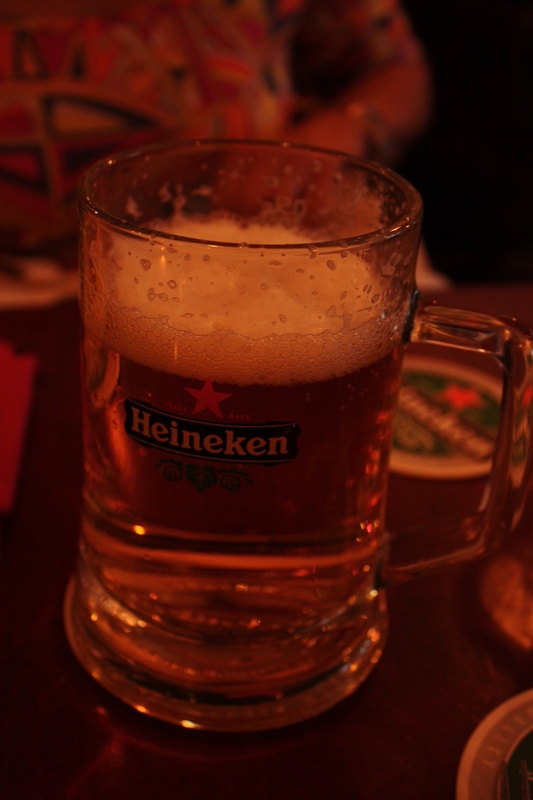 Heineken beer …. it’s from Amsterdam! 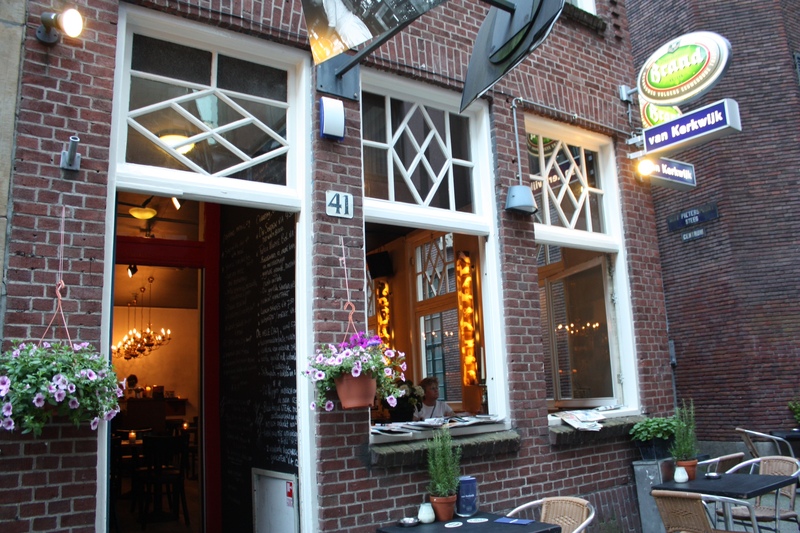 After having Vleminckx Fries, we walked a couple blocks to Gartine, hidden in an alley near to the touristy Kalverstraat. 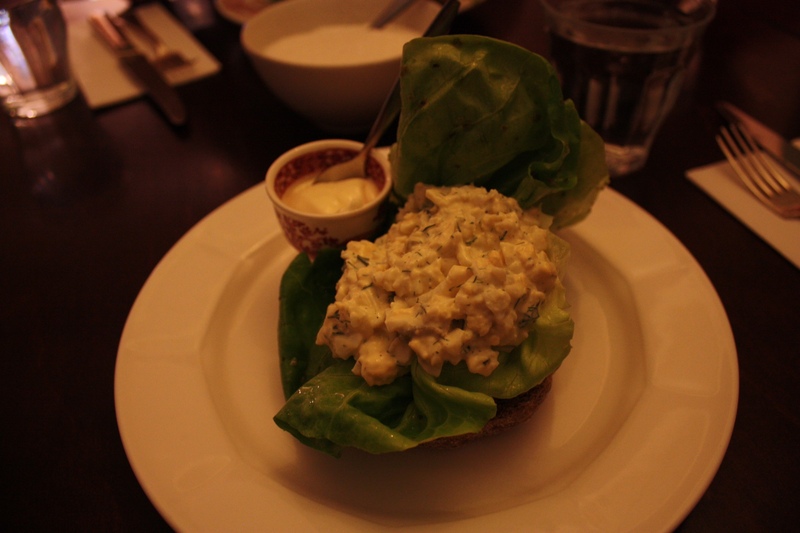 love the interior design and ambiance..
multi grain sourdough topped with dutch bacon, cream of Dijon mustard and spring onions…. 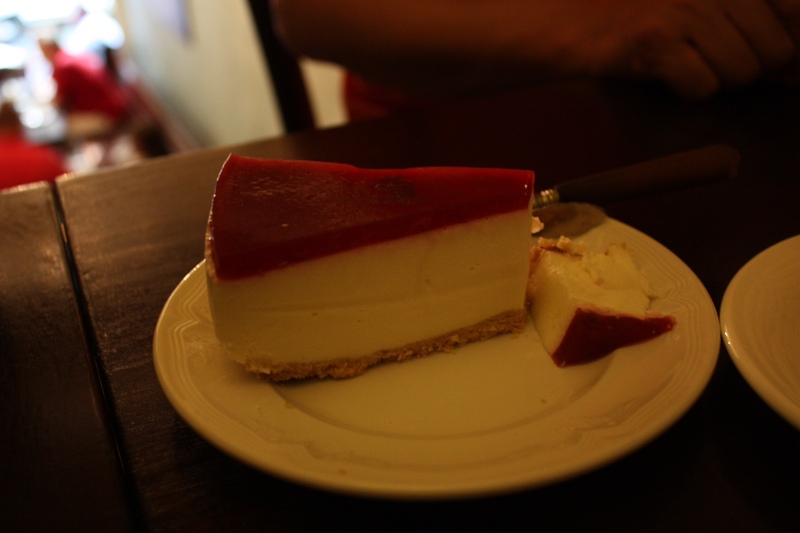 raspberry white chocolate cheesecake… extremely light cheesecake but flavourful also! 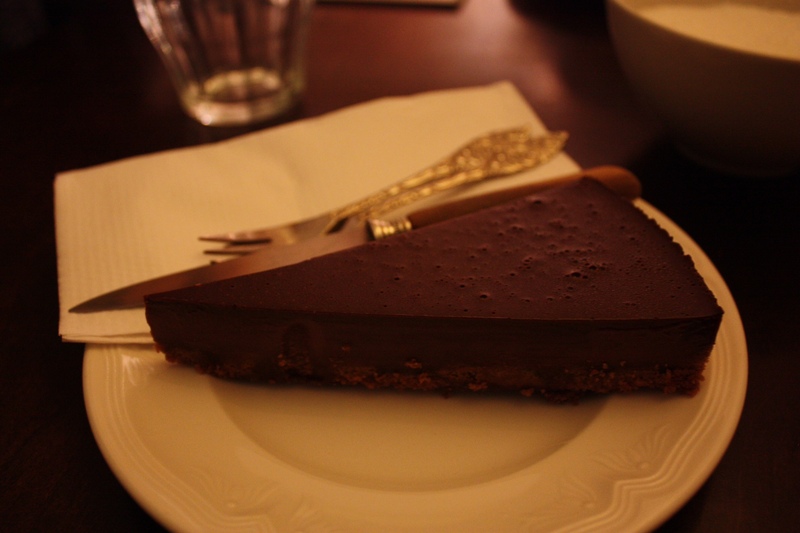 I could taste a hint of white chocolate and it wasn’t too sweet..
chocolate cake…. extremely rich! 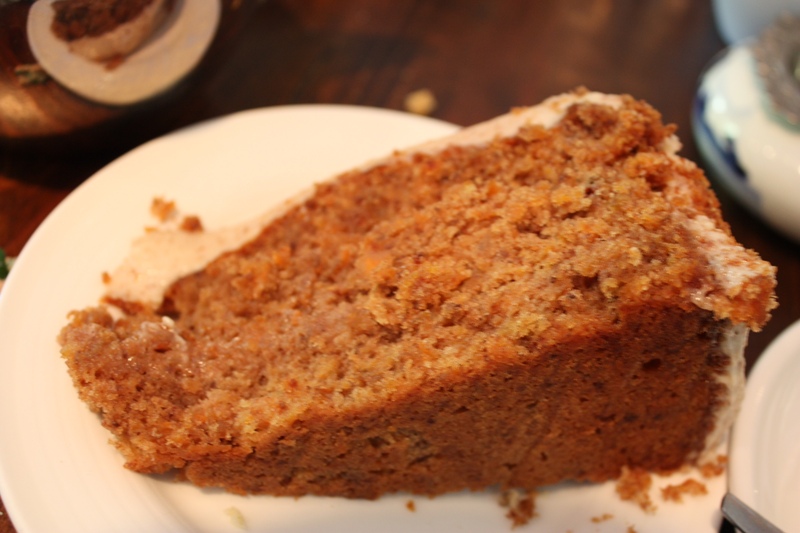 loved the crumble/crunchy bottom! 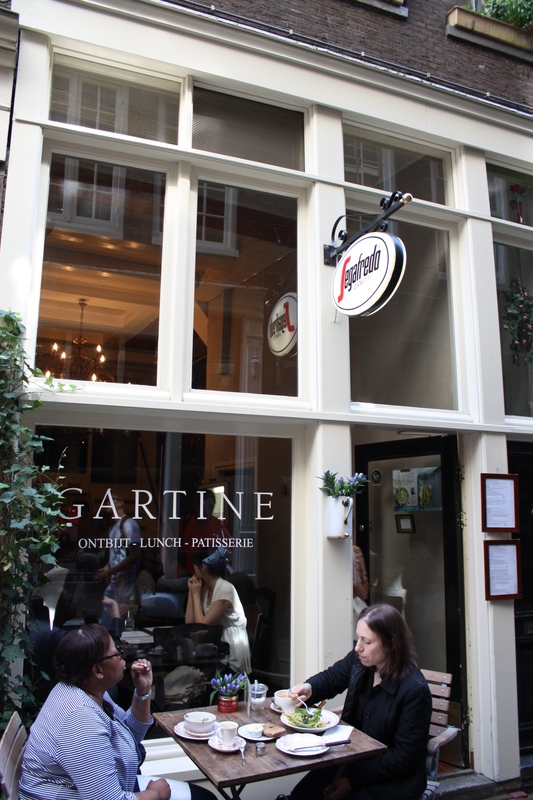 Our first food stop in Amsterdam was supposed to be lunch at Gartine but along the way, I saw a long line for fries. 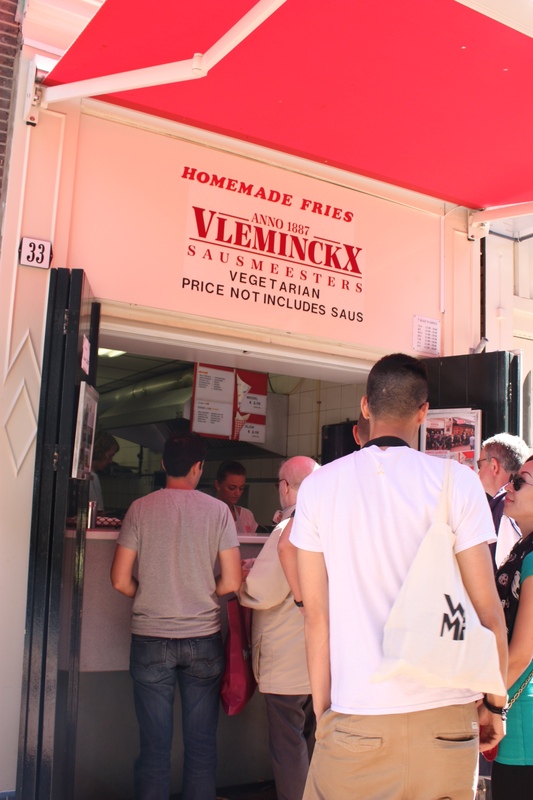 It turned out to be Vleminckx French Fries, an item on my to-eat-list in Amsterdam! I didn’t actually think I’d find it because the only info I had was that it was on some alley. 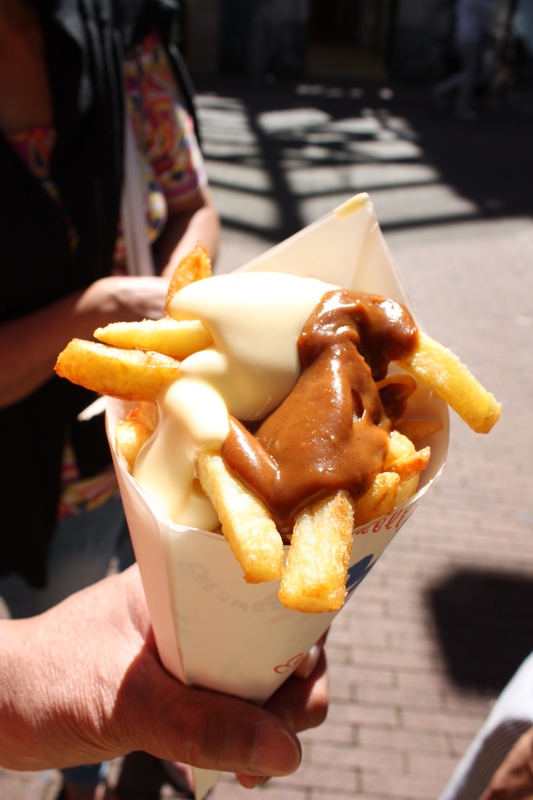 It’s very famous for their fries and the different available sauces. We ordered fries with mayo and peanut sauce. It’s nicknamed the warrior for the version of mayo/peanut sauce/raw onions but I don’t like raw onions, so we stuck with sauce only. This was really good! Crispy fries.. extremely fresh.. I could see the staff preparing it from potatoes. 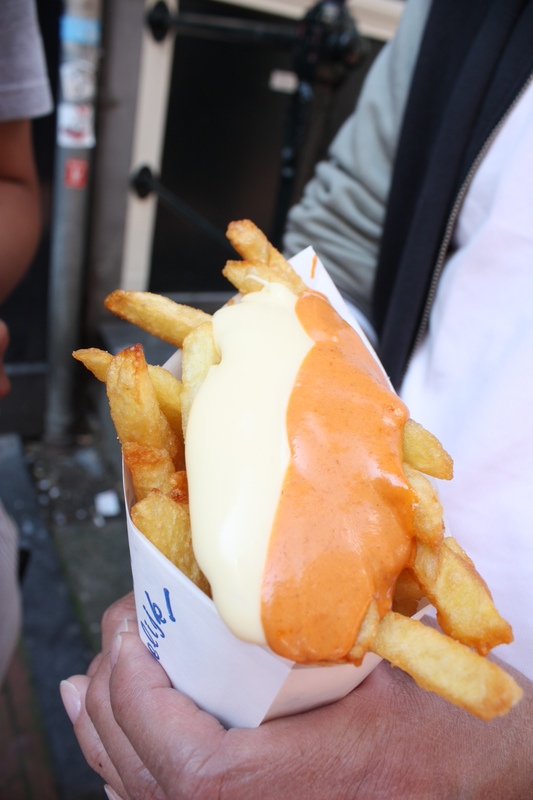 I think that ketchup with fries is so passé…. sesame mayo is the way to go!